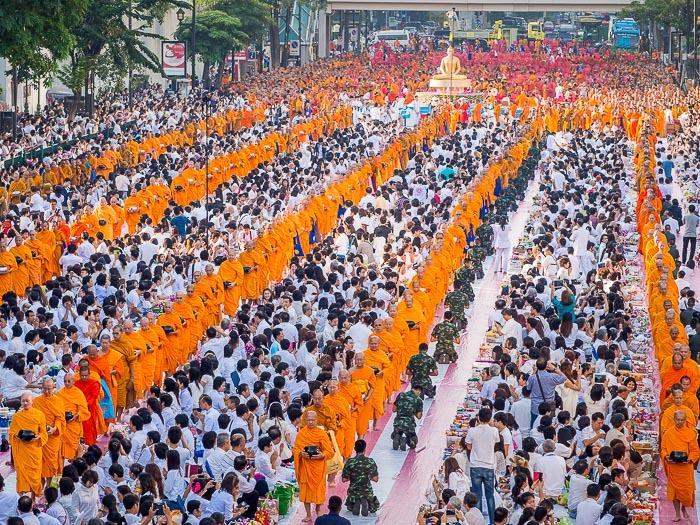 About 10,000 Buddhist monks walked through a sea of people Sunday during a mass merit making ceremony in Ratchaprasong Intersection at Central World. 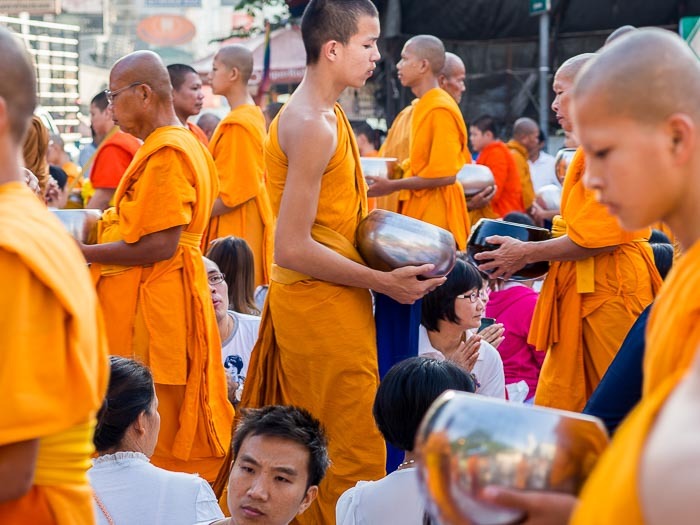 I spent Sunday morning covering a mass merit making ceremony in the center of Bangkok. 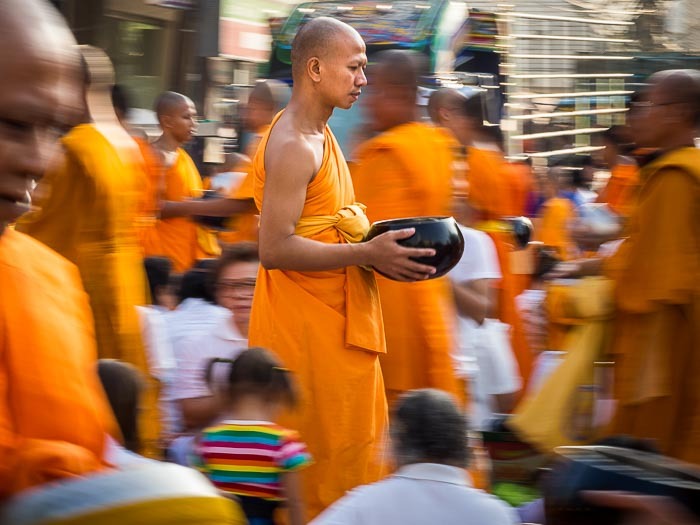 About 10,000 monks, most affiliated with the Dhammakaya Movement and Wat Phra Dhammakaya, collected food, juice and cash for Buddhist temple in Thailand's "Deep South," the three southern provinces of Pattani, Narathiwat and Yala, where anti-government insurgents have limited monks' freedom to go out on their alms rounds. Monks walk through the crowd. I used a slow shutter speed on the bottom photo to blur the motion. (ISO200, f18, 1/20th of a second with a 75mm lens). I've covered several of these mass merit making ceremonies. They're very interesting and photogenic and I enjoy the time spent at the them. 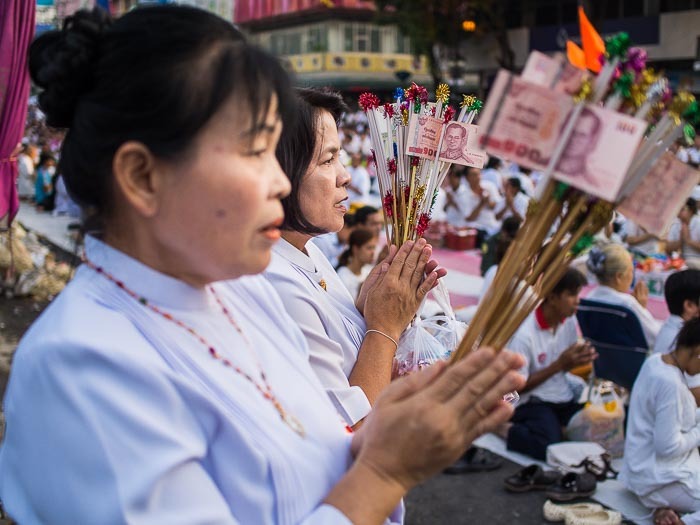 Women pray before donating cash during the merit making. There are more photos from the mass merit making in my archive or available from ZUMA Press.